Free Shipping Included! 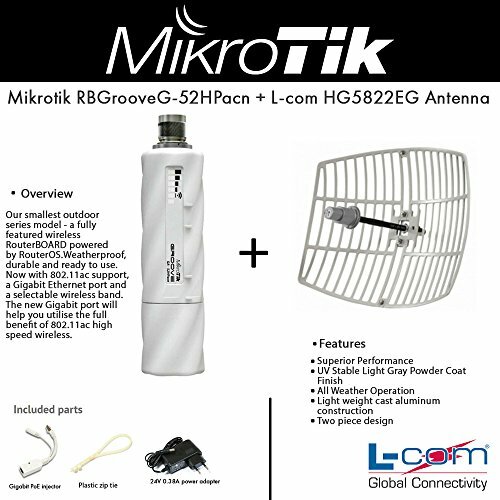 Mikrotik Outdoor Wireless RBGrooveG-52HPacn + Lcom HG5822EG 23dBi Grid Antenna by Mikrotik at AABX. MPN: RBGrooveG-52HPacn+HG5822EG. Hurry! Limited time offer. Offer valid only while supplies last.